eHungry is an online ordering system designed for restaurants. Its features include an online ordering website, coupons and loyalty management, customer database, Google Analytics integration, CRM, and more. In this article, we cover eHungry reviews and pricing. Ready to get started? Get a free trial. As of the date this article was written (February 28, 2019), there are few up-to-date positive eHungry reviews available online. However, one user said that it makes their ordering website much more efficient. He also commended the program’s affordability. There aren’t many up-to-date negative eHungry user reviews as of this writing. However, one reviewer said that the software is not too easy to use. eHungry pricing is order-based. The company charges 1.9% of the total order cost. Customized mobile apps are free. However, for the App Store, Apple requires a fee of $99 per year. 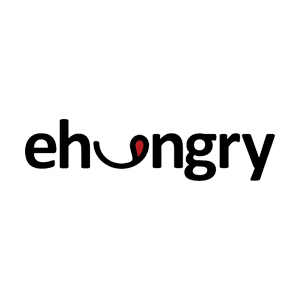 Ready to get started with eHungry? Get a free trial. Can eHungry accommodate multiple stores? Yes. eHungry provides tools that help in setting up and managing multiple locations and franchises. Are credit card fees included in eHungry’s pricing? No. Credit card processing fees vary depending on the processor the user chooses. Have you read these eHungry reviews and are still not sure if it’s the right fit for you? Read our reviews of all top restaurant software or check out one of these three eHungry alternatives.